Happy, happy New Year to you! I hope you enjoyed celebrating last weekend! We had a super low-key celebration at home, and I have to admit, it was perfect! It’s becoming a bit of a yearly occurrence on the blog for me to start the new year with a fun room makeover, and this year is no different! 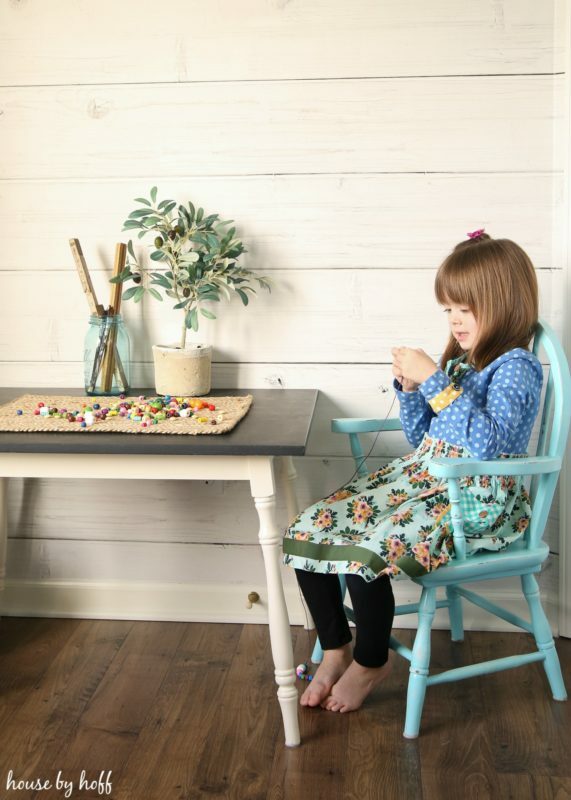 This January I’m really pouring my creative energy into Miss L’s playroom, which also doubles as my indoor photography studio. Last fall we replaced the old, white carpet in our hallway and this room with the same laminate flooring that is in the rest of our house. It made an instant difference, and it will be SO much better for indoor photography gigs. Over the holiday break, another major change happened in this room: We updated the walls with the most fabulous wallpaper from Milton & King. To say that I am over-the-moon excited and so pleased with how this White-Washed Timber Wallpaper looks in this space would be an understatement. This room makeover isn’t finished, and I’ll be posting many of the updates and projects over the next few months, but let’s just focus on this fantastic wallpaper for a moment, shall we? I have plans to add some artwork and toy storage to this room that is both practical and pleasing to the eye. Miss L. always wants me to sit and play with her in here, and if it’s a pretty space, that’s much easier for me to do. I can only handle looking at plastic princess toys and bright stuffed animals for so long. Can I get an amen? Another little corner holds her toy kitchen. 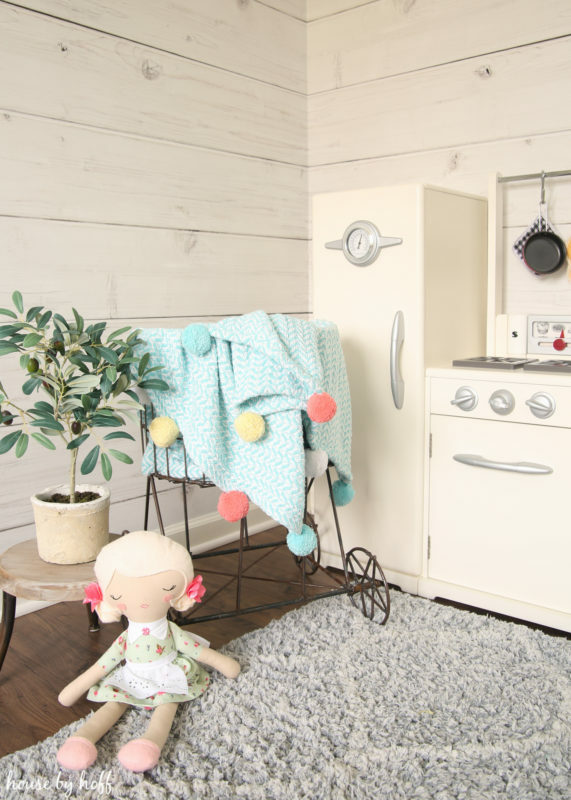 I love this little retro PB toy kitchen. It looks perfect with the wallpaper, doesn’t it? Thank you to Milton & King for our fabulous wallpaper. Although I was compensated for this post, all opinions are 100% mine. Their selection of high-quality, boutique-style wallpaper is gorgeous and inspiring! 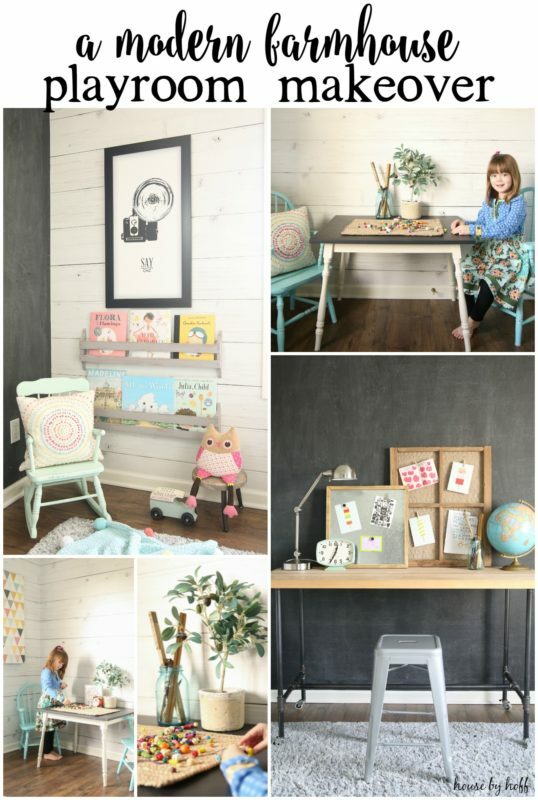 To get the full scoop on the entire playroom makeover, including sources for many of the items, click here. I love it! 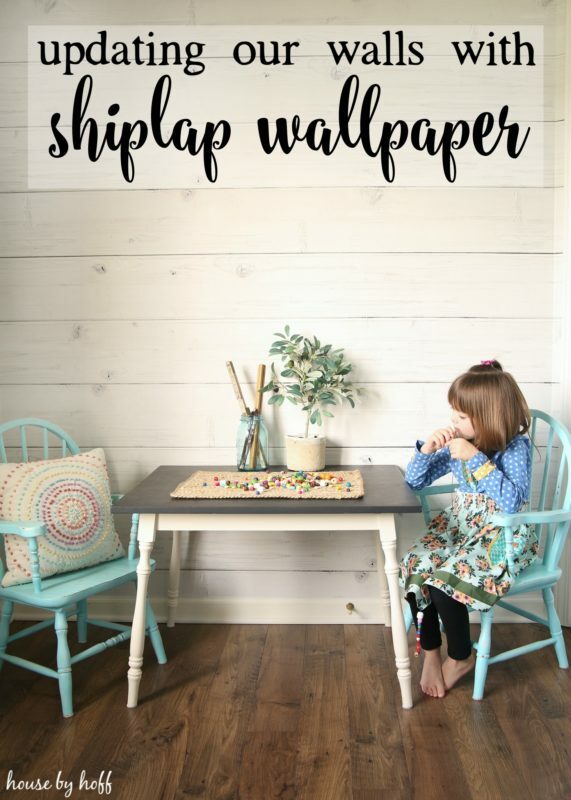 I love the shiplap look, but fear it will become dated as soon as the next big craze hits. 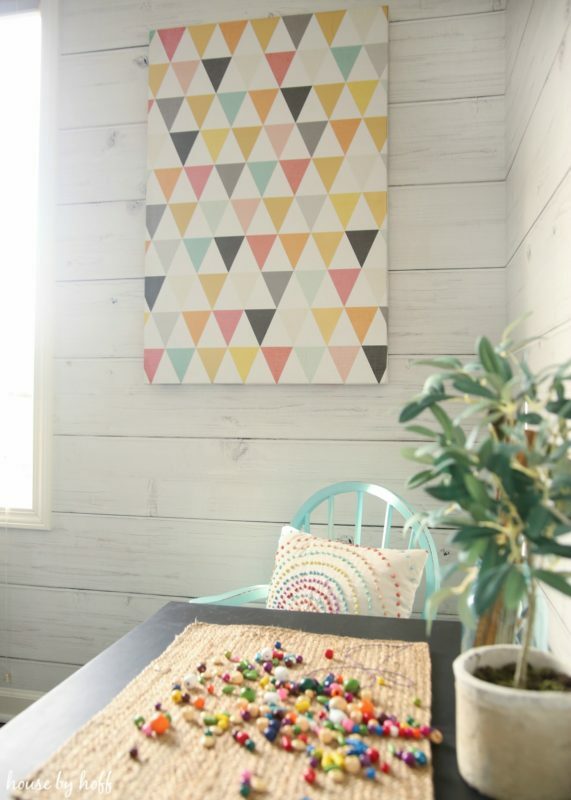 Wallpaper is the perfect way to enjoy the look in a temporary way that can easily be changed! One more reason to love this wallpaper! 🙂 Thanks, Molly! Ha! I completely understand your love for it! It has the most gorgeous colors. 🙂 I got it at Hobby Lobby about 2 years ago. Love the wallpaper. 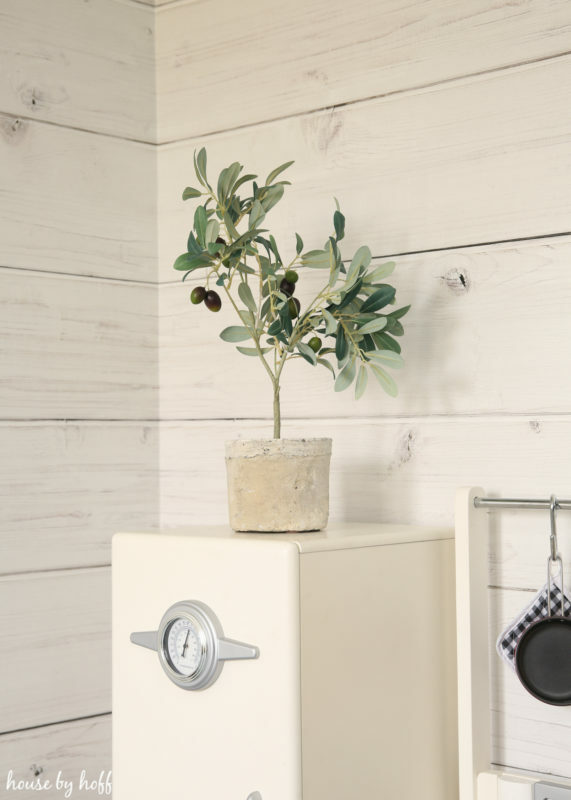 Silly question, is this a real olive tree? I love it. I really want to get one for our house. 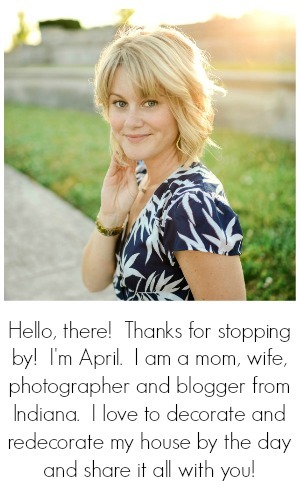 Thank you April! I think olive trees are so beautiful so I will have to look into getting one. Thank you for sharing where you purchased it. What was the cost to do this or price per roll? Greetings from Vermont. 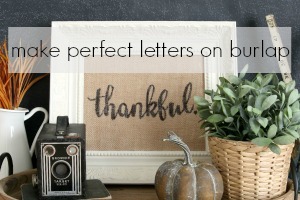 Just stopping by from Cami’s blog and wanted to say your house is beautiful. I particularly love your dining room shelves and your kitchen. May God bless you in 2018. Lovely! 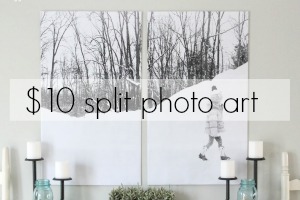 I’m currently renovating my foyer, and one wall is going to be faux shiplap. I was going to do it with thin plywood, bought all of the supplies, but realized that I can’t cut a straight line with power tools lol. Now I’m leaning towards wallpaper. I’m hesitant about the cost of this vs the peel and stick kinds. Most of the wall will be hidden anyways by my husband’s stereo equipment. I was wondering if you had any experience with the pre-adhesive wall pops? Where do I purchase wallpaper adhesive? And with this company’s wallpaper, is the design horizontal or vertical? The calculator on the site says I would need one roll, but it doesn’t clarify the direction of the dimensions and I don’t want to under buy, but I also don’t want to pay for a second roll if I don’t need to. Thank you for any assistance! I’m purchasing from your link so I hope that helps you in some way! 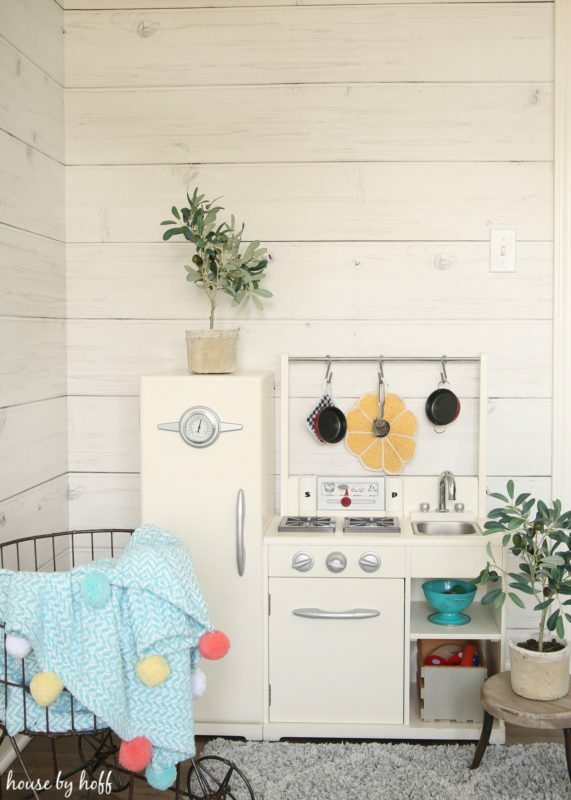 I absolute LOATHE our kitchen and, since we don’t have the budge to renovate yet, I might just get this shiplap wallpaper and give it a cleaner look.